Question: How did wealthy landowners thwart the efforts of enslaved Africans and European indentured servants to join forces in a common struggle for economic justice? 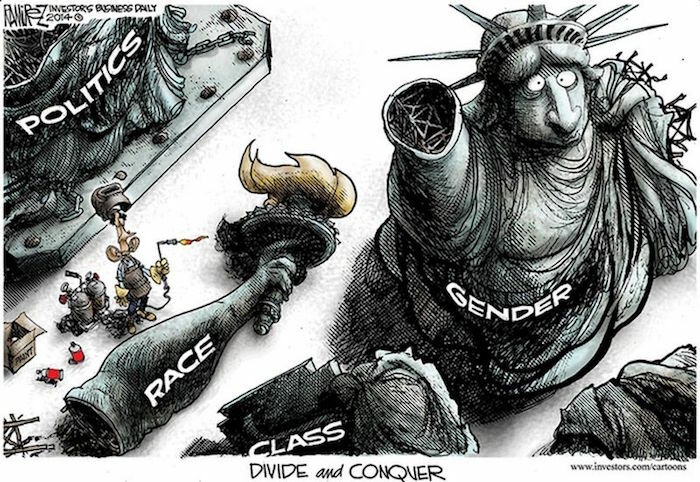 Answer: Divide and conquer through the invention of race. Make the white servants feel superior to black slaves by virtue of skin color; manipulate poor whites into believing that any perceived gains by blacks had come at their expense. “I started by having students get together in groups and think up laws that could be used to separate one group of people from another and laws that would make one group of people feel superior to another,” said Hipkins, who taught 11th-graders at the Capital City Public Charter School in Northwest Washington. Students eventually homed in on the essential question: Who stood to benefit from such diabolically inspired disunity among people whose economic interests were so intertwined? Hipkins used a lesson called “The Color Line,” by Bill Bigelow, curriculum editor at Rethinking Schools magazine. The material can be downloaded from the Zinn Education Project. The pattern of exploitation that the students discovered does not fit neatly into the standard high school history narrative of the noble birth of a nation. So it is often overlooked. But the process has been widely documented. That upward redistribution continues, and racism is still being used keep poor and working-class blacks and whites fighting over crumbs, while the top 1 percent takes the cake. Echoes can be seen in Donald Trump’s outreach to poor and working-class whites by castigating immigrants as those people who are taking their jobs. But that does not have to be the end of the history lesson. “When students learned how race had been created, how the structure of white supremacy had been constructed, they began to realize that it could also be destroyed,” said Hipkins, who recently left his teaching post to become a curriculum specialist for D.C.-based Teaching for Change. Join in a struggle to build an anti-racist America, or accept racism “as a given” and rejoin the masses in stultified maintenance of a futureless status quo.